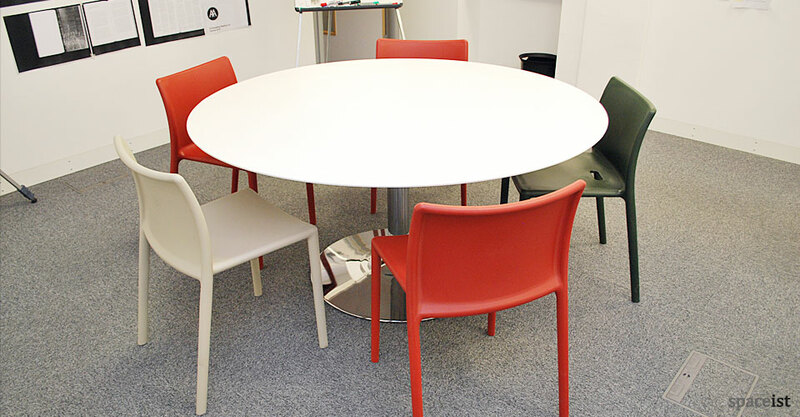 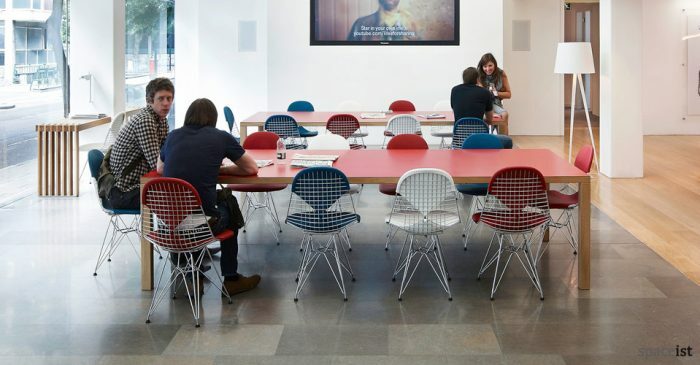 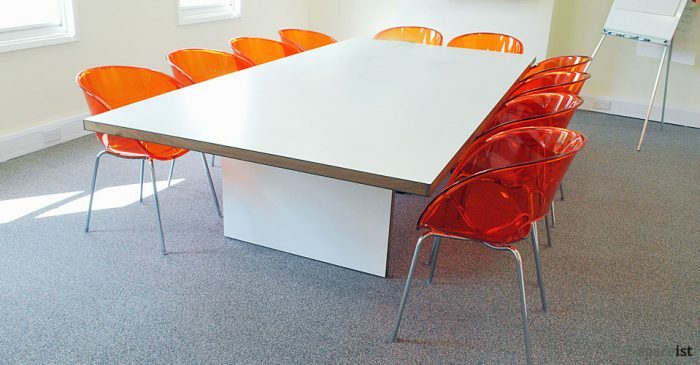 Round meeting table features a retro trumpet base. 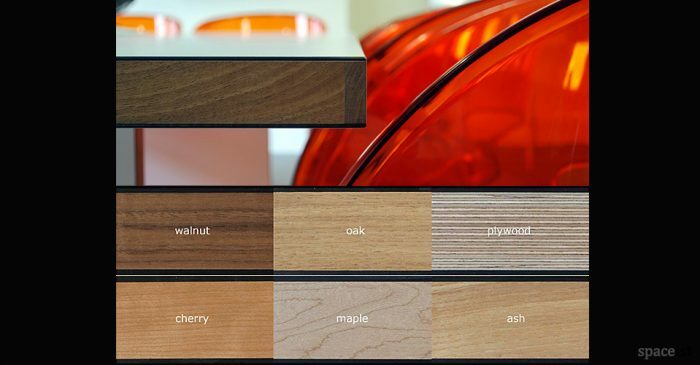 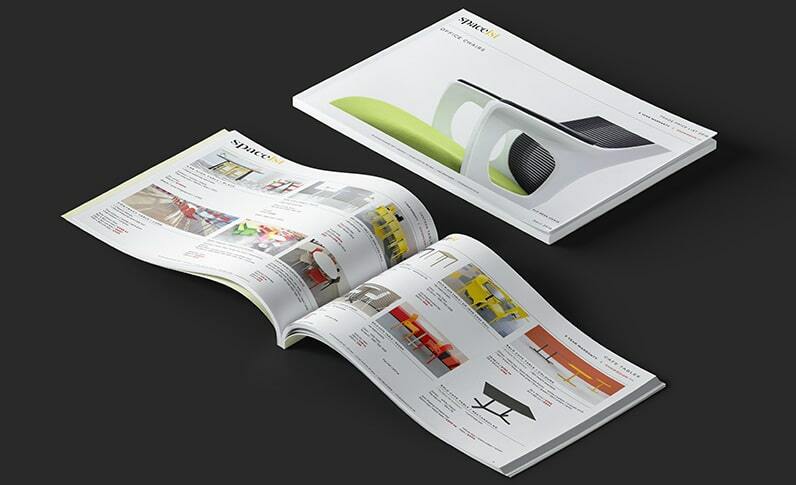 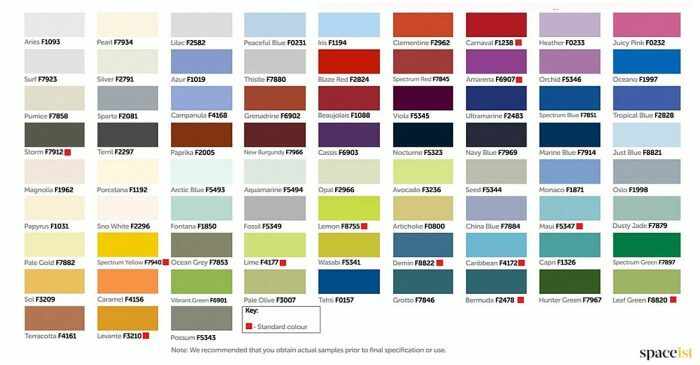 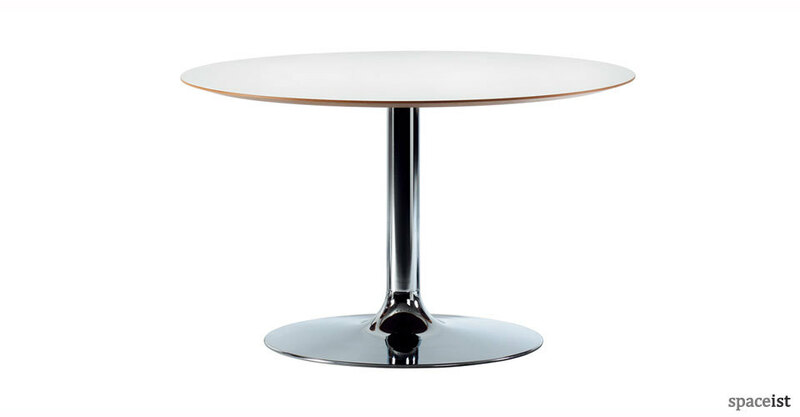 The base finishes include polished chrome (shown), satin steel, painted black, painted white or over 60 RAL colours. 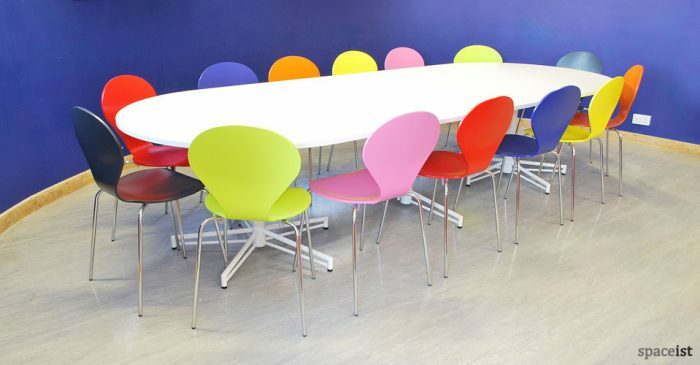 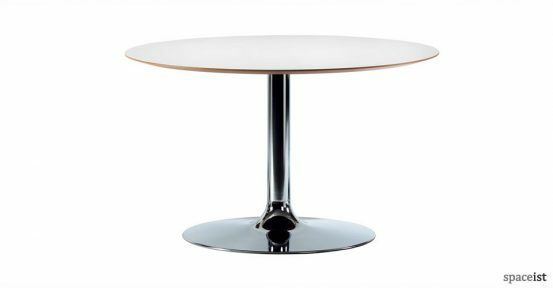 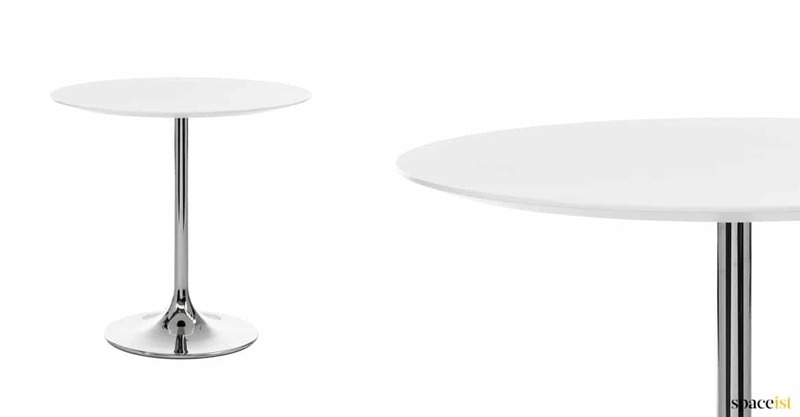 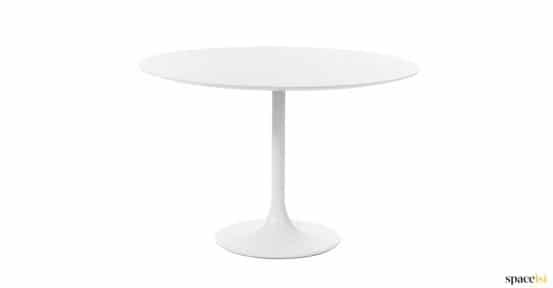 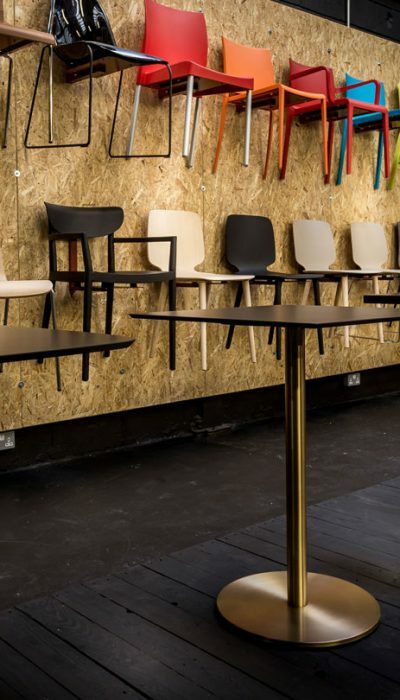 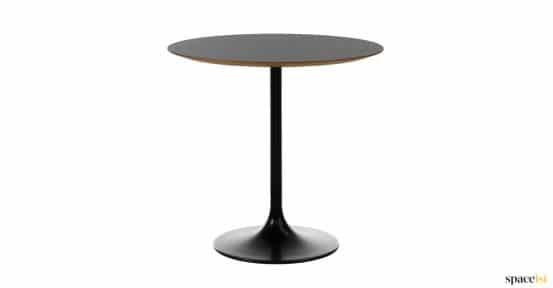 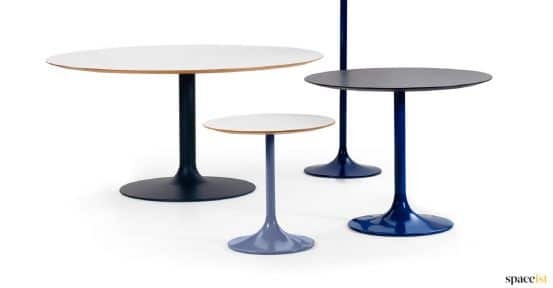 The table top is supplied with either a basic edge with flat profile in black or white laminate or with a discus shape bevelled edge profile in white (shown), oak and wenge stain.